Virgin Orbit's Cosmic Girl launcher 747 with LauncherOne rocket nestled underneath the aircraft's fusilage. Jeanne Medvedeva, Launch Services Commercial Director at EXOLAUNCH, said Virgin Orbit and EXOLAUNCH share a core belief in customer experience and viable launch services. 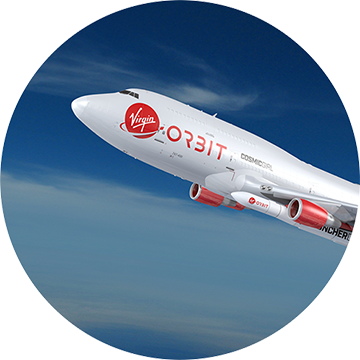 For the company's smallsat customers predominantly from Europe, Virgin Orbit will provide frequent and easy access to space out of the U.S. to reach a wide range of orbits, and EXOLAUNCH will provide diverse smallsat clusters adapted through the firm's separation systems to the upcoming missions of LauncherOne. Virgin Orbit CEO Dan Hart added that Virgin Orbit and EXOLAUNCH are naturally aligned in their ambitions to launch the global smallsat revolution, which necessitates low-cost, high-frequency access to space. Europe is on the cutting edge of science and technology when it comes to smallsats, and Virgin Orbit s motivated to provide the firm's unique launch capabilities to this rapidly growing market.